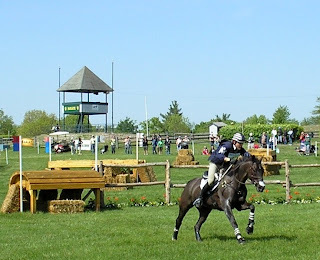 In eventing you do see warmbloods, but they're typically from jumper bloodlines, not dressage. 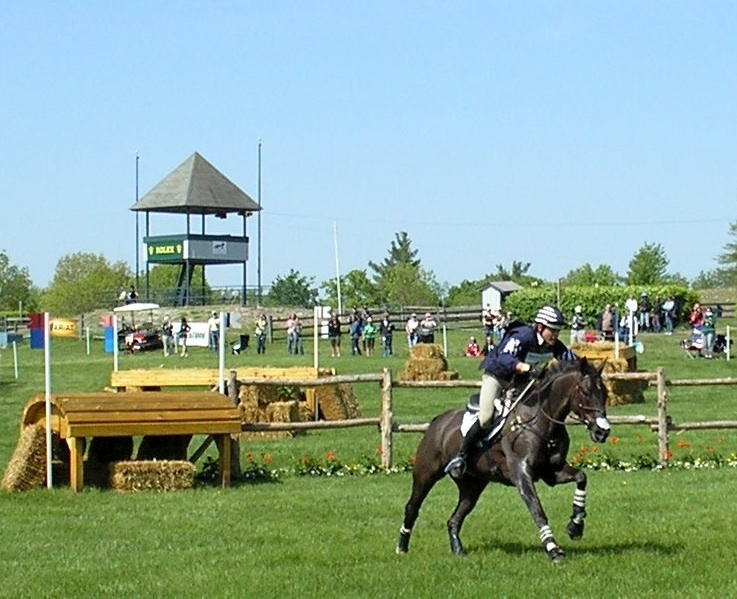 Lots of eventers still have a healthy dose of thoroughbred blood to boost speed, courage, and conditioning. This year's 9th place finisher at Rolex, Remington XXV is a tad outside the mold. The German-bred Remington XXV was bred to do dressage. His sire was Rubenstein--one of the top three dressage sires of the 20th century--and his mom's sire was Wenzel, another influential dressage sire. He was imported to the U.S. to be a dressage horse, but he just wasn’t a “star” in that discipline. A quiet horse to handle, he was foxhunted one season and surprised everyone with a bold, ground-eating cross country style. Eventer Boyd Martin took him on as a eventing prospect, and he rose quickly through the ranks. My! He has a very tall rider. 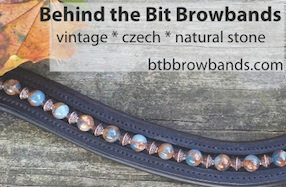 The Hanoverian definitely does his thoroughbred blood justice. I like his elegant build and way of going. I love Hanoverians - I think they're far more versatile than they get credit for, given that so many of them are ridden in dressage here. I need to show my daughter these snippets - Boyd's legs hang down as much in the dressage test as hers do on her pony now! 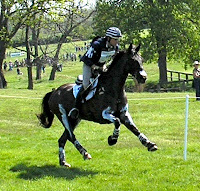 At the head of the lake jump, I heard the announcer say, "jumps it very easily..." :-) Lovely horse. I bet he'd be the envy of the horses back home. Not always stuck in an arena doing circles but getting to run cross country. By the way, his dressage is lovely. Most eventing dressage is, well, eventing dressage, but his is lovely. You could tell the announcer was enjoying it also.